When you walked in shopping mall , you will notice there have any different display showcase and display counter . 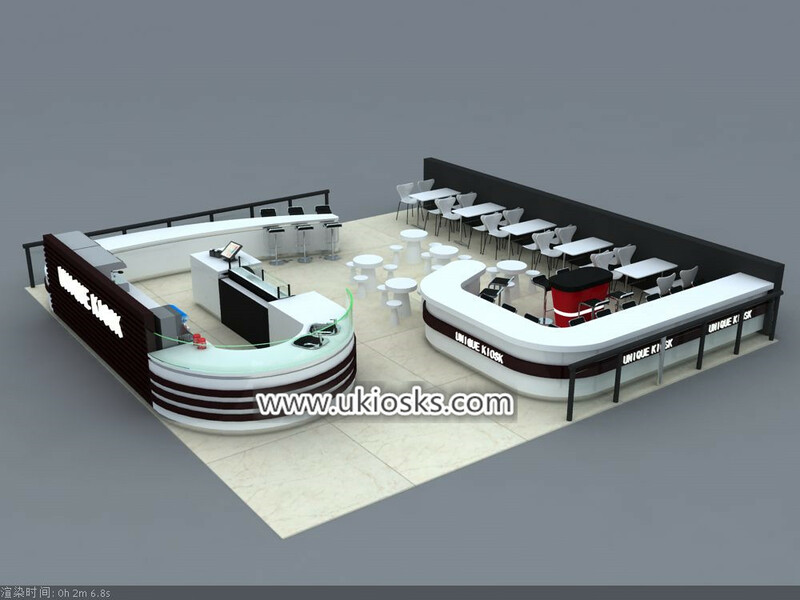 such as juice bar , coffee counter , jewelry display stand , phone display cabinet , cosmetic display stand and more . today i wanna introduce a classics coffee shop counter for your meet , let’s see more details at below . Color : white and black can customized . You can see whole shop mainly tone is white and black , it’s very high end and modern . with working area and seating area . Very reasonable and comfortable . 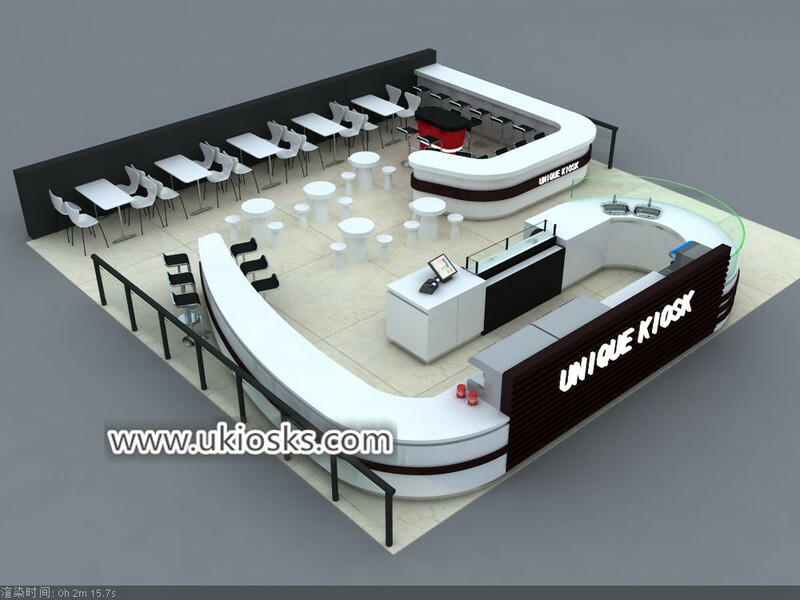 whole shop is two entrance ,seating with bar counter , Round table, square table, customers can choose seats according to their own preferences, and provide convenience for guests as much as possible. The left sides is a ” U” shape long wooden counter ,is working area , mainly for order and coffee making . with a big glass display fridge for dessert . inside with stainless steel sink , coffee machine , juice machine and undercounter refrigerator . it can customized depedn on your equipment list . 3. 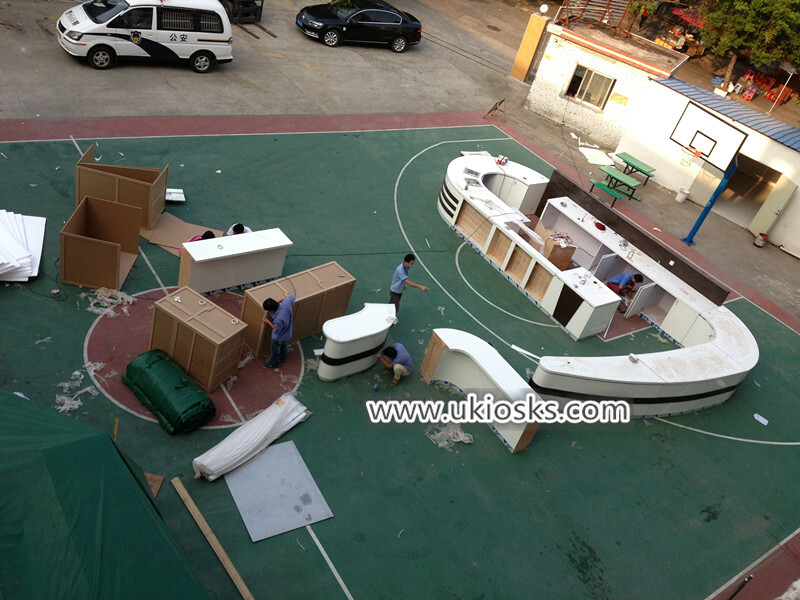 Why choose our factory to coffee shop counter build ? 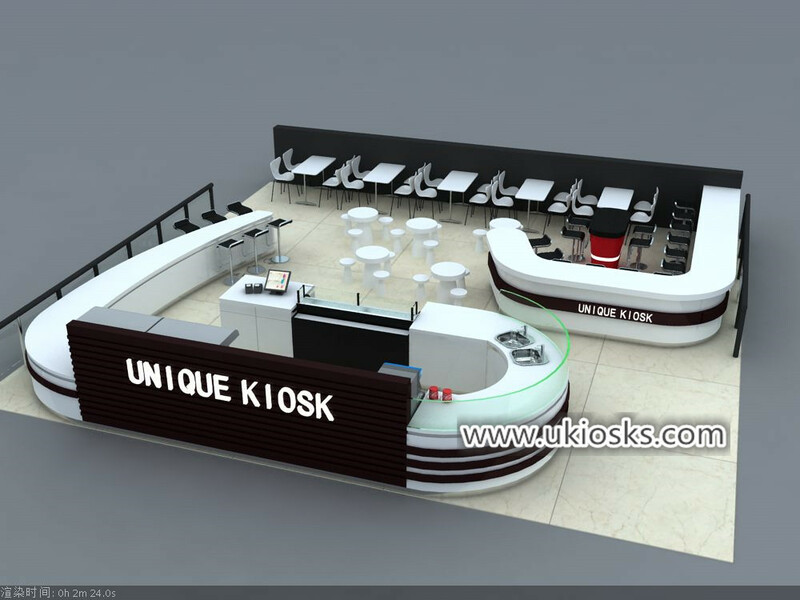 1.we have professional design team, our design team can design according to your needs and size,can customize your kiosk . 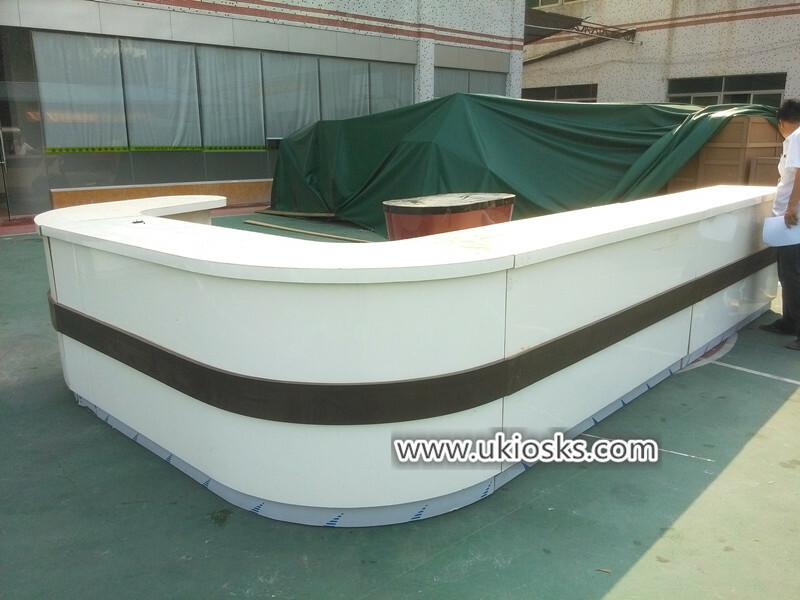 2.we have 10 years experience in making mall kiosks,so we have enrich experience and exquiaite workmanship . 3.we have inspect team,after kiosk finished,we will inspect the kiosk carefully to ensure everything is ok . Thanks for your time and reading , if you want to know more further info or interested build a coffee shop like this one , pls feel free to contact us , thank you !